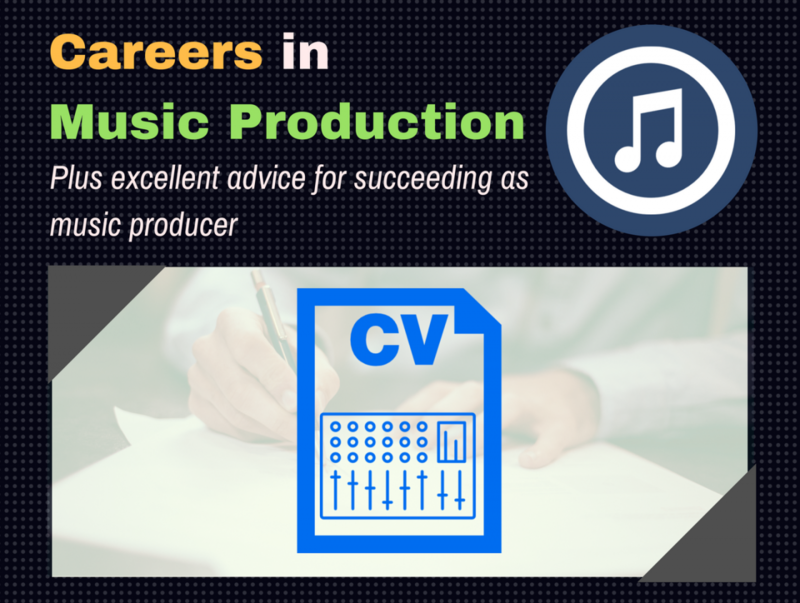 Are you wondering what are some good careers in music production? Perhaps you’re thinking about getting some gear, and taking some courses online. And maybe, you’re wondering if it’s worth making the investment. Even if it’s a wise investment at all. Is there a future for you in making your own beats? What about scoring your own orchestra tracks for film and video game? And mixing your own music? Is there any future in that? Maybe you started out just for fun. Or, maybe, you’re concern is for a friend or young family member — you want to see the best way to output your or their creative abilities. You want to make the most of your investment. Before we get into the list, let’s get something out of the way first. And that is the value of music in the modern world. Music, and many of the other subjects in the arts, are becoming more and more important in education. The STEM system (Science, Technology, Engineering, and Mathematics) is slowing being replaced by the STEAM system (A for Arts). Why? Because we are living breathing human beings that want to feel, enjoy, and relate. All the educational research and socio-psychological analysis boils down to that. We become more “humanized” when we learn to relate with ourselves, and others. Sports plays an important component as well. But not all of us are born with athletic giftings, but with an artist nature instead. So more and more schools are finding that a stronger emphasis on art helps to develop more balanced individuals. You’re here primarily because you want to find out if there is any potential careers in music production. I’d like you to read over the foregoing paragraphs again. You will come to see that music is a growing field that’s becoming more and more recognized as time goes on. And at the center of this growing demand, is the music producer, who sits at the center of cross-disciplinary interests. So in this post, we’re going to outline some possible career paths that you can take if you decide to make the investment in learning and utilizing the tools of this growing field. But if you choose to get into a career path, there must be a result, an end in sight. Otherwise, no matter what career you take, even if it’s a music producer, or it’s related fields, it’s good to realize that your path can take you anywhere the wind blows. Your career can be subject to chance and circumstance. Either you’re a success, or you fail. But what you want is to succeed. Right? Of course you do! So you must eliminate the chance of failure. So how do we prevent that? How do you take command of your destiny and ensure a successful music career as a music producer? A man or woman will likely end up anywhere if they don’t at first have a proper idea of where they are going. Once you get moving, you need a direction (and by moving, I mean investing in yourself through time, effort, and money). And a vision will provide that direction, or chance and fate will have her way with you. It doesn’t mean that, necessarily, you will attain exactly what you wish. In many ways, your ultimate realization would be far better than you can potentially conceive at this moment. But the only way for you to realize that is to first aim at point in life. Why have a vision for your music production career? The reason why we placed vision here is because, from my observation, many people forget to include this when they set out to find some sort of successful career in what they want in life. But many simply get so swallowed up in the moment of doing what they love, they never actually ask themselves, What is it that I would like in return for what it is I am doing? This is the question you need to be asking. And this question is the basis of your vision. For now follow these first actionable steps for finding the best careers in music production for you. I’m calling this the 3-7-10 career plan. Because it consists of 3 simple steps, with 7 questions to ask yourself for each step, that will paint the perfect picture for your career for the next 10 years. Where will I be living? In what country? What kind of home or homes? What are the things I would have that I will enjoy? Will I have a family to take care of? What will my days look like? Who are the people I am associated with in my career? How much money will need to make per month/year for my lifestyle? Now you have a vision for your life for the next ten years. Go over it daily until it is so fixed in your mind that while you’re doing what you love, you can recall the “vision” in that moment and smile, knowing that you will get what you want. But let’s go beyond ten years. Ask yourself where you ultimately see yourself in life. Maybe you’re an authority in your field. Or perhaps you’re famous (if not before). Maybe you’ve moved on to an adjacent career interest. Maybe you’ve become an inventor of a new, instrument like Roger Linn, or Bob Moog. Or you’ve developed the expertise to design new plugins and engineering standards. Give yourself a few days to pour over these questions. Come up with your own questions (you will). Do some research on the internet, and in forums, as you naturally feel fit. Read about successful and famous people who’re at the top of their game in the music industry, and examine what each facet of the music industry has that fancies your interest the most. Check out this website for a list of great careers in music. Then, be willing to spend the time, money and effort on building that future you’ve created for yourself. Always come back to your vision, your plan. Revise it if needed. Add to it if necessary. Collect pictures and post them up on walls. Now, let’s talk about some career examples for the music producer. One of the beautiful things about having a career in music production, is that it provides for a lot of upward mobility. Meaning, there is no “glass ceiling” preventing you from personal growth and net worth accomplishments. Many music producers are millionaires. We’ll soon by having billionaire music producers very soon, too. Will you be the one? 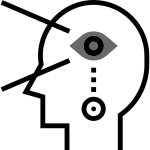 A music producer, or anyone working in the field of music production, can be connected to various aspects of the commercial world. From record labels and companies, to film studios, advertising agencies, media companies, tech manufacturers, scientific research institutions, and so on. Music is in such high demand. People, businesses, and institutions want it for events, marketing, research, fitness, YouTube content creation, etc. Take some time to listen to the sounds in your environment, the devices you use, the websites you visit, the places you work, etc. When you hear any music played, say to yourself, Someone made that. You can more clearly see now that, with your name stamped on a track, the doors to every avenue of commerce is open to you. Here are some typical career examples. Many musicians, music producers, and engineers, get their start in freelancing. This means finding people who require your service — in exchange for money, you’d do something for them, such as mixing a song, recording keys onto a track, and so on. It can get pretty lucrative, and is a great way to get started by building clients that trust you, and very importantly, you trust and actually like. You get to learn what your ideal client is, and your ideal sort of arrangement. And they will offer you more business potential by referring you to other potential clients. Then, what you’d want to do, is to build a business around that. You can start a website for generating more business and get even higher paying clients. As your studio grows, you will probably hire other producers and engineers, and now you have a company. And it all starts from freelancing. This is related the freelancer point. A music producer entrepreneur is simply a producer who looks for needs to be filled, and see if his or her skill can be utilized in that niche in some unique way. It could be anything from creating an app that helps people record their own music, to as simple as creating a site to sell their music for others who want to buy royalty free. You could also be the inventor of a new instrument or way of making music. Our it could be as simple as starting your own record label or production company. There’s also using the knowledge you’ve learned in creative ways to solve common problems that music producers and musicians constantly face. That solution could be a service or product of some kind that you innovate or create on your own, or with the help of someone. The potential for what’s possible for the tech savvy music producer pursuing entrepreneurialism is endless. App and software companies and developers rely on sounds for their interface to be useful to users. Just think about it, how important is audio feedback important to you in your handheld devices? Visual feedback is often times not enough. A phone needs to notify you if your received a message. A fitness app would notify you on your daily goals through sounds. There are as many options as there are apps. And companies and developers pay good money for sound designers to create these simple sounds. All done by someone who knows music production. You can take your knowledge and teach it online. If you’ve looked at the post about music production schools, you’ll see a host of music producers and engineers teaching people how to make music in any style and genre. You can do the same, too, sharing your knowledge of something that you love, and earning from it. It is enough to make a full-time income alone. This is obviously one of the choices that would come to mind. You could run your own studio, converting your home studio into a full-time business. Or you could be the engineer of a studio from a production company. You get to do what you love everyday and be paid well for it. Simply decide what kind of studio you want to work for, and aim for that. The leap from music producer to entertainment or artist manager is not actually a leap but a simple side step, so subtle, it’s like a dance. A manager simply manages many aspects of a production. All that is required is a little business savvy, and you’ll have a successful career as a music or entertainment manager. You already know how music works, and how a studio production works (because you’ve been doing it yourself). And you’ve steadily made connections with other producers, artists, experts to get the job of a production handled. In this case, you’ve taken your hands off the wheels of actually “producing” a record, and handed that over to a producer you hired so you can manage the overall project. This is a very exciting field, which you can grow into very quickly if it excites you. This is related to the manager career field. Artists often rely on music producers for “work” or opportunities. As a producer, you would’ve learned not only how to make music, but how to distribute it and sell it, getting it onto platforms that makes money. If you’ve make a track and sold it on TuneCore, CDBaby, or DistroKid, you would’ve, in essence, been your own music label. And you can do the same for others. Releasing other people’s music under your own label is an excellent way to provide opportunities for others, while bringing a lot of income in for your business. Of course, you don’t need to start you own music label (which is the trend now). With enough experience and clout under your belt, you can work for one of the majors labels in the industry, and become a powerful executive in the field. This is, again, related to a music label executive. Being a music producer opens the door for you in many ways, not only by being hireable as a manager or executive at a major label or production company. You can get a job easily in a publishing company. Or, you can start your own very easily. With a publishing company, you administer, or assist in administering, the business affairs of musicians, bands, and other music producers. There are more and more artists and music producers in the world today, and it is growing. You are potentially going to be one of them. And you can be of assistance by helping out with the business side of things. As a music producer, you’d know a lot about the ins and out of a business, as well as the production process, and music making, writing, and performing. This role is actually very similar to the artist manager, but instead of having the responsibility of a manager, with all the liabilities that it implies, you are simply called upon for advice and guidance. It’s a very hands-off approach, popular with independent artists. A music consultant can also work on projects that require music, like music theatre projects, film projects, and other multimedia projects. Most of what was listed above were on the “self-made” level career building. And, of course, it is not a complete list of what’s possible. But they make very good suggestions for what a music producer can do that’s just a little outside of the box. You can easily do many of those things on your own, and enter the various related careers in music production from the side door without having to depend on being “hired” by a company and working your way up a corporate ladder. However, if you’re just starting out, you’re probably going to want to make money. And other than some of the options listed in the post on how to make money, there are other jobs that will take on a music producer. What we list below are just a few of them to consider for the time being. If you can play an instrument (as many producers know how to) you could be hired as a go-to session musician at your local studio. This is a great way to be immersed in the whole process of being a music producer, and you can even get your foot into the recording industry this way through creative thinking. You can be a part of a backing band in your area. Again, you’d need to know how to play music. Most likely, you’d be playing in gigs for weddings, funerals, parties, bat mitzvahs, and so on. 12 – Sound engineer for church, school, etc. Places that utilize PA systems often require an on-hand sound engineer to run their system. Again, being a music producer who’s familiar with gear, and knows music, will make you very valuable to a local church, school, or any other organization that needs someone to run their sound system. There is a lot of opportunity to work in an advertising agency. You could work as their go-to music producer in their studio if they have one. But you can be a little bit flexible and work as a creative associate, copywriter, researcher, or even a marketing analyst. Musicians tend to be very good at finding out what people want, and like, and how they respond to what you give them. If you tend to be detail driven and analytical, you can surely looking into market analysis. I personally got offered a job once from a top advertising agency to be an accounts executive, with “music producer” being the headliner on my resume. Music producers with a little more social savvy will know how to get an event together. If you’re into music as a professional, you’re then an entertainment professional. And if you’re an entertainment professional, you can work as an event coordinator for entertainment companies that organize events, shows, concerts, etc., for clients and other companies. This is a very easy job to get. Aside from teaching people how to produce music online, you can teach music in your local school, or even offer music lessons to people in your area. These are several very good ideas for getting started with your career in music production. You can and will be very successful once you decide upon your path. All that it requires is to spend a few days outlining the vision of your life, as it will involve your passion or interest in music production. Followed by seeing which of the career options above, or that you come across in your research, is most suited to your life’s vision. It is not enough that you just love what you do. You can love what you do, and get nowhere in life. You must ask for what you want in life, and set out on the path that will offer that for you. The paths I’ve listen are simply a small percentage of what’s possible. As a music producer, the sky is the limit. You are a self-made, and often time, self-educated individual, who’s pursuing an exciting avenue creating something that people love: music. It is up to you to turn that into your own dream life.